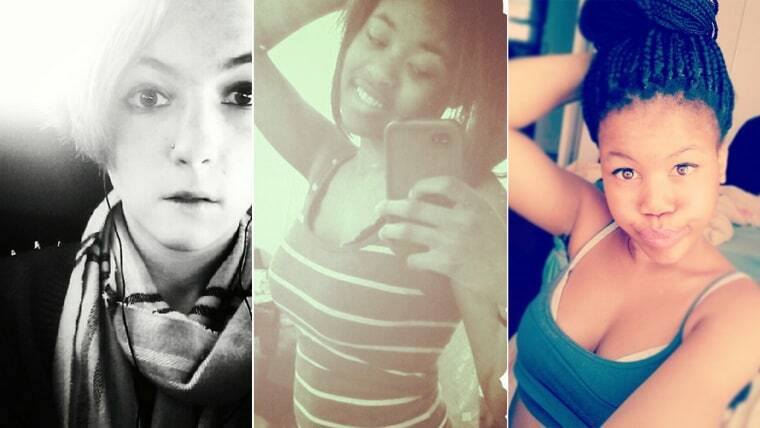 So much has been written about the kids these days and their selfies: They’re empowering! They’re a cry for help! They’re creating narcissistic adolescent monsters who don’t know how to be respectful at funerals! In the Ideal to Real TODAY/AOL Body Image survey, teenage girls revealed something unexpected: 65 percent said seeing their selfies on social media actually boosts their confidence. And 40 percent of all teens say social media helps "me present my best face to the world." The TODAY/AOL findings echo emerging social science on the impact of social media on self-presentation and self-image. Selfies seem inconsequential or goofy, but they can actually be incredibly important to teenagers, because they give teens a way to control the image of themselves that they’re showing to the world, experts say. Psychologists call it self-efficacy—the idea that you can control your own world, “which is a really big deal for the human brain,” Rutledge says. And that same idea is true with selfies. “Both clothing and selfies are useful tools for negotiating identity. As a result, you'll find selfies that are really healthy and empowering as well as those that highlight how some youth are in pain," says boyd. Still, for all that's empowering about selfies, teens — especially young women — naturally have mixed feelings about them. As long as young people are in control of the image, they are confident. But, in the TODAY/AOL body image survey, they acknowledge social media's power to make them feel bad about themselves, especially when confronted with glamorous, mostly happy, pictures of other people's lives. 55 percent of girls and 34 percent of teen boys say "overall, social media makes me feel more self-conscious about my appearance." 58 percent of teen girls say "seeing pictures of other people living glamorous-looking lives on social media makes me feel bad about myself." Only 19 percent of teen boys have the same reaction. 30 percent of all teens say social media means they always need to be "camera-ready." The key is to not get obsessed with the selfie as a genre, says boyd, "but to appreciate it as a window into teens' lives—including the good, bad, and ugly." At least 81 percent of teens, ages 12-17, use social media sites, including Facebook, Twitter and Instagram, according to recent findings from the Pew Internet & American Life Project. Instagram, the photo editing and sharing app is especially popular among selfie-loving teenage girls. All week, TODAY is exploring the issues we all face with body image on a daily basis, hoping to help you change the way you see yourself. Everyone from Cameron Diaz to Michelle Obama will weigh in. Follow the series at TODAY.com/LoveYourSelfie. We also want you to get in on the action. Share your selfies on Twitter, Instagram and Facebook using the hashtag #LoveYourSelfie or upload them here.